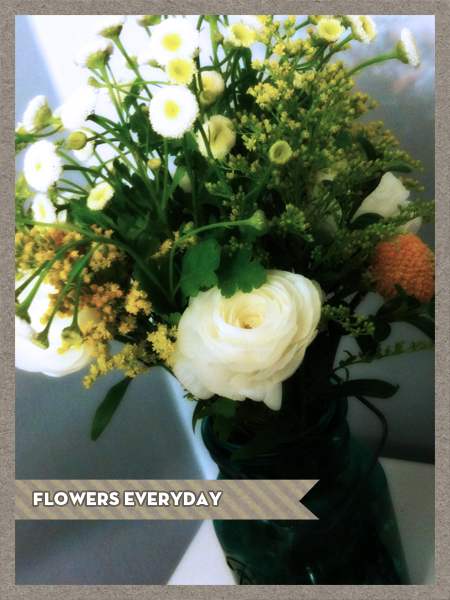 My current obsession is a home full of flowers. 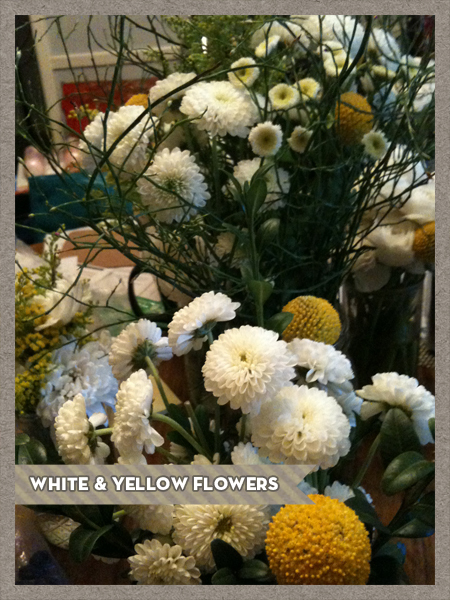 After planning a beautiful baby shower for our friend Autumn, my house is filled with beautiful white & yellow flowers. 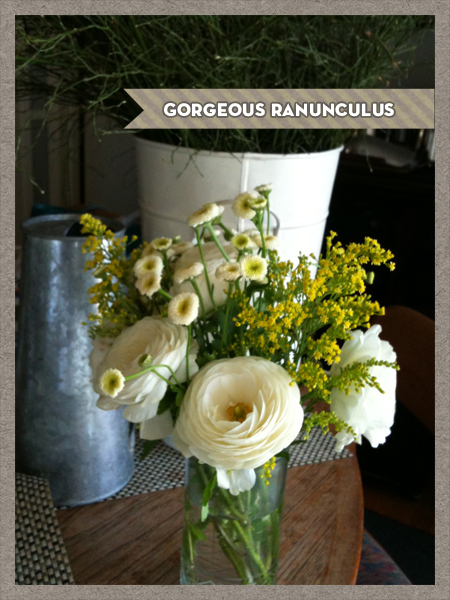 There are Ranunculus, Yellow Pom Pom flowers (Billy Balls) & so many different white & yellow arrangements. Stay tuned for details on the best place to find those flowers in Los Angeles: The Downtown Flower Market (with my friend Tania). If you are interested in the baby shower – you can see details of the amazing food by Leslie Sarna and all the little extras about the invitations, tabletop & menu on CocoRose.